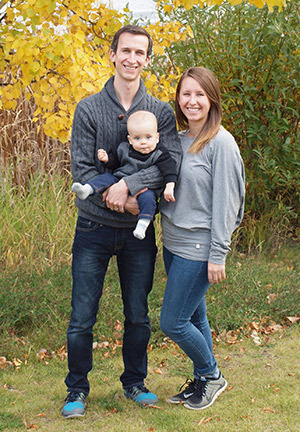 Dr. Jason Ellis grew up in Sherwood Park and calls Sherwood Park his home. He went to the University of Alberta and graduated with a Bachelor of Science in Kinesiology. He then received his Doctor of Chiropractic degree from Palmer College of Chiropractic in Davenport, Iowa. Upon graduation, he earned Academic Excellence, finishing his studies as Valedictorian of his graduating class. His mission is to see that every person and every family gets the chance to be fully healthy, starting with pregnancy and infancy and continuing throughout life. Dr. Jay is passionate about family wellness and is continuously expanding his knowledge and training in pregnancy and pediatric care. Additionally, he received his post-graduate certification in the Webster Technique for pregnancy and has helped numerous pregnant women enjoy healthy, happy births, as well as helped with postpartum recovery. With his extensive background in sports and training, Dr. Jay loves taking care of athletes of all ages, whether they are weekend warriors, elite athletes, or simply youth just getting into sports. Health is his passion and his priority. When it comes to time away from the clinic, Dr. Jay loves doing what a new dad should. He loves spending time with his wife Kimberly and son Benjamin and his two pups Doug and Charlie. He enjoys the great outdoors, whether it be camping, hiking, or skiing, and has been playing soccer, volleyball and curling for most of his life. While finishing chiropractic school, Dr. Jay went on a chiropractic mission trip to the island of Bequia, delivering healthcare to those who don’t typically have healthcare available to them. He has also volunteered as a chiropractor at the world’s longest hockey game in 2015 and loves to be a part of the Sherwood Park community. Would you like to make an appointment with Dr. Jay? Call Brisbin Family Chiropractic at (780) 449-6636.